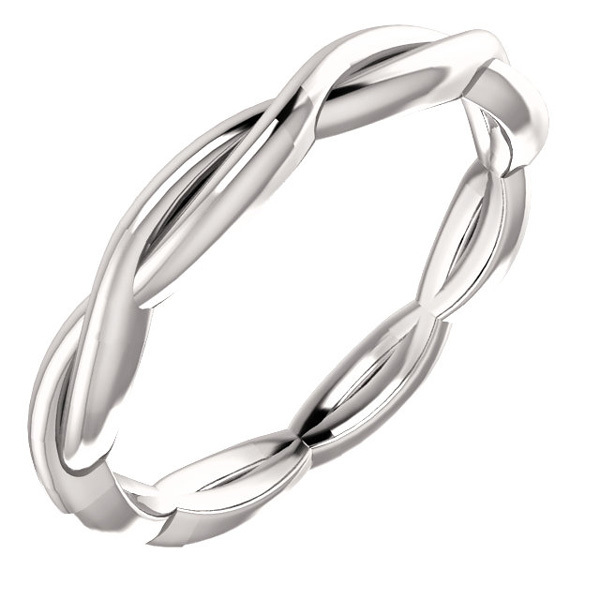 The platinum woven infinity wedding band ring from Apples of Gold Jewelry combines striking 950 grade platinum and a lovely braided design that is sure to capture her heart. 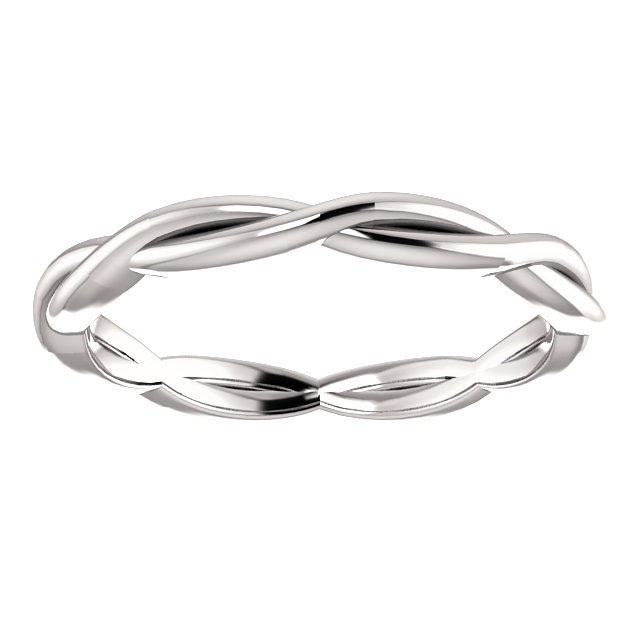 The band of the ring measures approximately 2.75mm in width, and has a braided infinity style design going around the entirety of the ring. 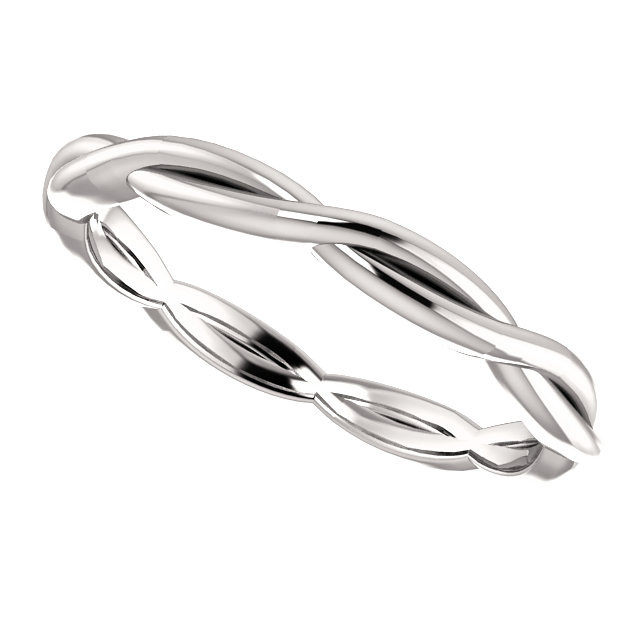 The sweet, twisting design will be sure to look beautiful, both alone or with a diamond engagement ring to create the perfect wedding set for that very special wedding day. 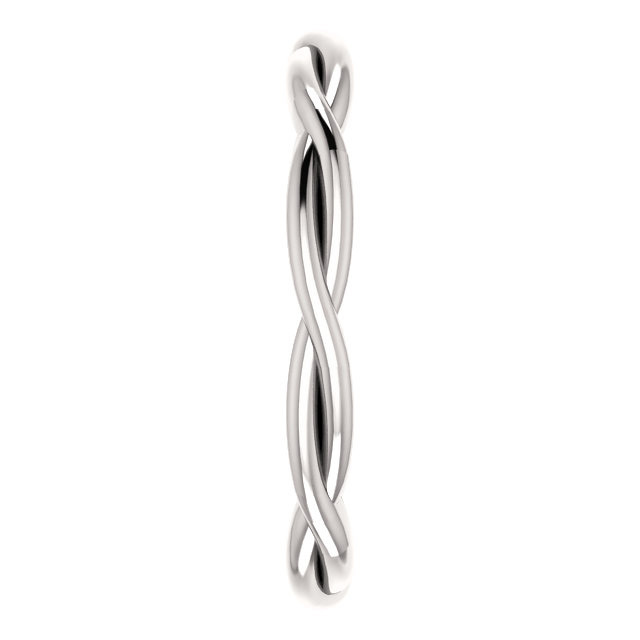 We guarantee our Platinum Woven Infinity Wedding Band Ring to be high quality, authentic jewelry, as described above.